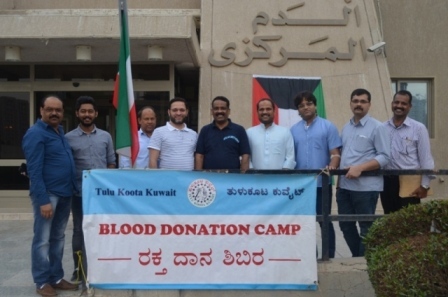 TULU KOOTA KUWAIT Blood Donation Camp 2019: Tulu Koota Kuwait organized a blood donation camp on 15th of February 2019, at Kuwait Central Blood Bank, Jabriya, Kuwait. 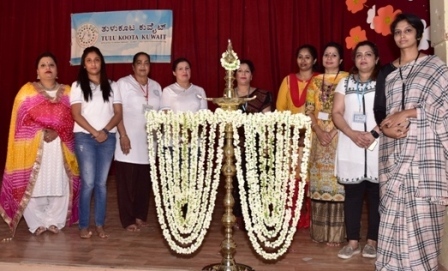 The Tulu Koota Kuwait released the calendar – 2019 and 20th year Emblem at its first all committee meeting held on 04th January 2019, at the Salmiya Play School, Rumathiya, Kuwait. The Event was started with a prayer song by Baby Tanvi Shetty and lighting up of lamp by all the guests on the dais. The calendar was released by the chief guest Dr.Nithin, along with the TKK President, Mr. Ramesh S Bhandary, and Vice President Sanath Shetty, TKK convener Mr Aikala Sudhakar Shetty, and the advisers Mr. Ramesh Kidiyoor and Mr Wilson Dsouza. Pascal Pinto, Ex-Committee member of Tulu Koota Kuwait, passed away in Mangalore on Sunday December 30.2018 He breathed his last at around 8 pm at Yenepoya hospital. The 19th Annual General Body Meeting of Tulu Koota Kuwait was held on Friday, 14th December 2018 at Indian Community School, Senior Branch, Salmiya, Kuwait. The program commenced with Kuwait and Indian National Anthem followed by welcome dance by Tanvi Vijay Shetty, a budding talent of Tulu Koota Kuwait. The outgoing members of the Managing Committee led by outgoing President Wilson D’souza marked the auspicious beginning of the program by lighting the ceremonial lamp. Mr. Suresh Salain, the Vice President, welcomed the members of the association. At the meeting, General Secretary Mr. Jagadeeshwara Shanubhogue presented the Annual Report 2018 that reflected on the accomplishments of the Koota during the year. The Audited Annual Financial Reports for the year 2018 was presented by outgoing Treasurer Mr. Manoj Stephen Rego, and was approved at the meeting. Tulu Koota Kuwait is pleased to invite its members for the 19th Annual General Body Meeting to be held at Indian Community School, Salmiya on Friday 14th December 2018 from 10:30 a.m. onwards. The meeting will be followed by cultural program and Lunch. more..
Tulu Parba – festival of culture and language, which is being celebrated every year by Tulu Koota Kuwait (TKK). Tulu Parba Competition 2018 which is first part of Tulu Parba 2018 has been held on 5th October 2018 at Indian Community School, Salmiya with full of enthusiasm and pride. Culture is the Characteristics and Knowledge of a particular region or a group of people, encompassing language, religion, social habits, music and arts. Culture fills the color in to the society, brings liveliness in to the life and most importantly unites all together as one. Culture is the real identity of any society, we Tuluvas are proud of our great cultural values which are still remain strong and sound in our hearts and action. Languages teaches cultural heritage and sense of uniqueness and identity in a culture. All TKK members, with pride celebrate the Festival of Tulu Culture and Tulu Language – “TULU PARBA 2018” in a grand & colorfully on Friday 26th October 2018. Tulu Koota Kuwait is presenting yet another mega Tulu Drama with Rib-tickling comedy scenes, signature dialogues and alongside a serious social message. Yes, this year’s best Tulu Comedy Drama – "Panyere Avandian" to be staged on Friday October 26th 2018 on Tulu Parba Day. The very famous Chaparka team lead by the living Tulu Drama legend Mr. Devdas Kapikad and his entire troupe will be in Kuwait to stage the drama. Tulu Koota Kuwait is celebrating Tulu Parba on Friday 26th October 2018, at American International School, Kamel Al Rayes Auditorium Maidan Hawally. For more information and sponsorship kindly contact 97295367 / 97875789. Tulu Koota Kuwait is celebrating Tulu Parba 2018 on Friday 26th October 2018, at American International School, Kamel Al Rayes Auditorium Maidan Hawally, starting 3:30 PM. In continuation of our tradition of awarding scholarship for the needy and Merit Certificate for the academic excellence in 10th and 12th std. to the children of valid members of Tulu Koota Kuwait. This will be awarded during the Tulu Parba 2018 - felicitation program, 26th October 2018. We, Tulu Koota Kuwait will be glad to recognize and appreciate the students with outstanding performance as well to encourage them for their future studies. 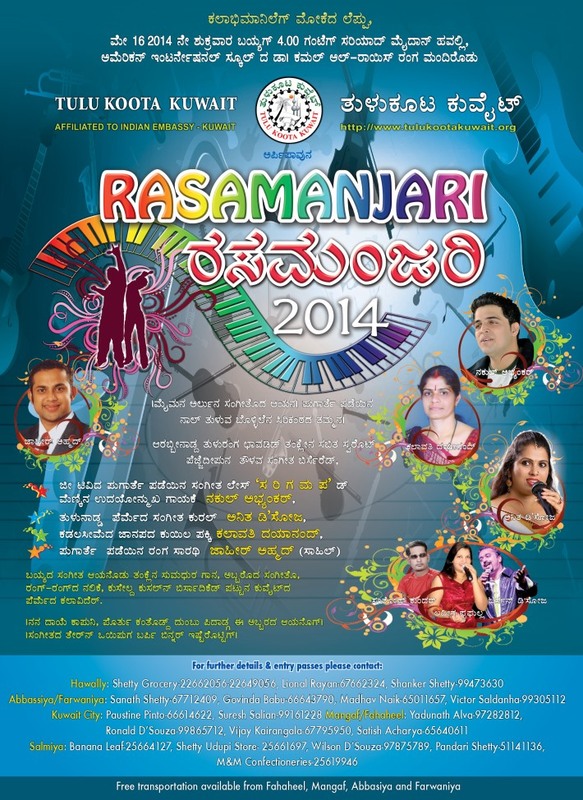 Tulu Koota Kuwait, under the skilled leadership of President Mr. Wilson D’Souza organized Rasamanjari 2018, a live musical concert, an evening filled with top quality music and entertainment. The event held on Friday, 27th April 2018 at the American International School, Kamel Al Rayes Auditorium, Maidan Hawally with full of entertainment. The Musical Nite featured by conspicuous guest singers and prominent musicians from India, as well as well-known musicians from Kuwait. The classical dances, folk and contemporary dances and comical skits from TKK artists entertained the audience. Tulu Koota Kuwait held its Family Picnic on Friday, March 16, 2018, at the Mishref Garden in Kuwait. The Family Picnic started with a huge crowd assembled in anticipation of a fun filled day. The event began with the welcome note by the hosts Shalini Vijay and Tharendra Shettigar. 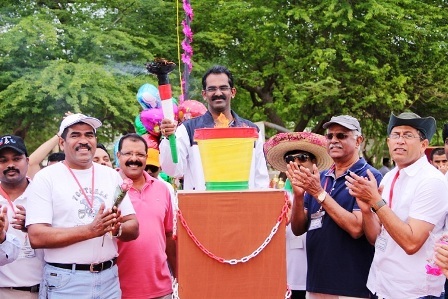 The inauguration of the Picnic was a unique episode as it witnessed the gathering of Twenty South Canara Association representatives. The representatives first hoisted their respective flag and were positioned in a circle, followed by Tulu Koota Kuwait Management Committee Members hoisting the TKK Flag in the center and thus were surrounded by Twenty Association Flags. The inauguration included our tradition way of breaking the coconut by President, Mr. Wilson D’Souza and Sport Secretary, Mr. Faustine Pinto and concluded by a short President speech. The President in his speech also requested the audience to play the games in a fair manner. 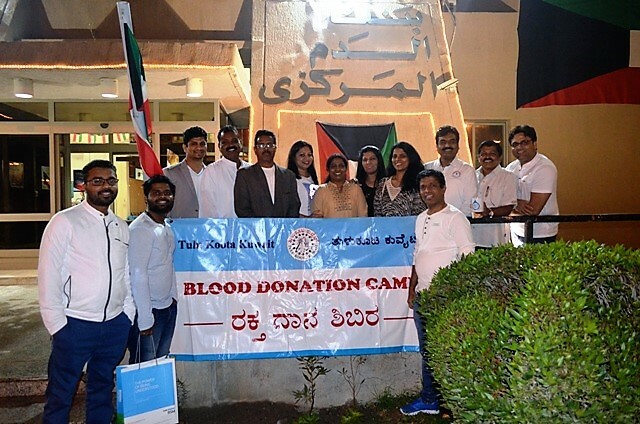 The Tulu Koota Kuwait organized a blood donation camp on 16th of February 2018, at Kuwait Central Blood Bank, Jabriya, Kuwati. Tulu Koota Kuwait indulge itself in various welfare activities which benefits the society in Tulunadu as well are in Kuwait. Picnic is one of the best recreational means to refresh and a great way of complete entertainment and great reunion to those who live away from each other. Tulu Koota Kuwait believes in unity through language and aim to bring all the tulu speaking people together under one umberella, by hosting various events every year. Outdoor Family Picnic is one among them, which is very much thrilled and awaited by all the members of the association. “FAMILY PICNIC – 2018” is being scheduled on Friday, 16 March 2018 at MISHREF GARDEN from 8:30AM onwards. Newly Elected Members of Managing Committee for 2018 met Indian Ambassador to Kuwait HE. Mr.K Jeeva Sagar on Sunday 11th February 2018. TKK Managing Committee Members met Indian Ambassador at his office in Indian Embassy Kuwait. TKK President Mr.Wilson D’Souza congratulated HE Mr.Jeeva Sagar on his appointment as new Indian Ambassador to Kuwait and handed over a flower bouquet as a token of gratitude. While the General Secretary Mr.Jagadeeshwara Shanubhogue handed over a set of documents containing details of newly elected members of management committee and brief about the association and its various activities along with the souvenir released during the cultural event Rasamanjari and Tuluparba 2017. The Tulu Koota Kuwait released the calendar - 2018 at its first all committee meeting held on 12th January 2018, at the Salmiya Play School, Rumathiya, Kwuait. The calendar was released by the chief guest Mr. Nithin Menon along with the President, Mr. Wilson D’Souza, the advisors Mr. Ramesh Kidiyoor, Mr. Tharendra P. Shettigar and Mr. Harish Bhandary. The calendar was released by Mr. B.R.Somayaji and the President of the association, Mr. Harish Bhandary along with the advisors, Mr. Sudhakar Shetty, Mr. Ramesh Kidiyoor and Mr. Tharendra P. Shettigar. “Tembere” and “Poppa” mesmerizes audience at Tulu Parba 2017. Tulu Parba 2017, organised by Tulu Koota Kuwait (TKK) successfully mesmerized a house full audience with the highlights of the evening “Tembere” and “Poppa” on Friday, 27th October 2017 from 3.30 pm at the American International School, Kuwait. 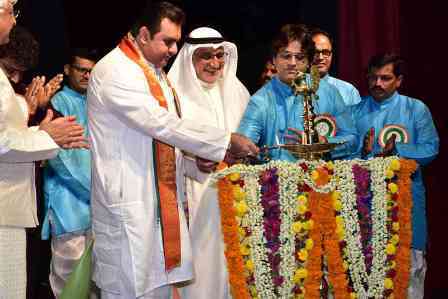 The audiences were welcomed by comperes of the evening Melwin Mascarehnas and Bhavishya Shetty followed by the Kuwait and Indian National anthem. The dazzling evening commenced with the lighting of the lamp by Management & Advisory Committee members and Leeladhara Shetty Kaup and Anup Sing from Indian Embassy . It followed by the souvenir release and a classical welcome dance by kids. 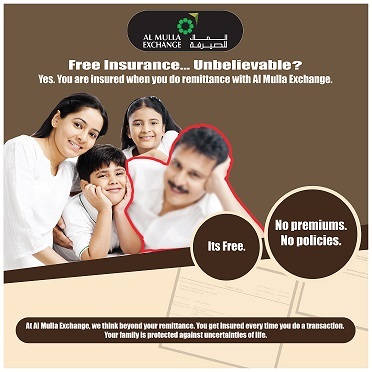 Al Mulla Exchange Offers Loyalty points, free Insurance and discount on Commission on Referring 2 New Customers. Tulu Parba Competitions are here once again and we are happy to inform that the registrations have already begun. Tulu Koota Kuwait is thrilled to provide this opportunity to the members to display their talent. The competitions will be held on Friday, Oct 13, 2017, from 9 am to 5 pm at the Indian Community School Auditorium, Salmiya. Lots of fun and creativity is the call for the day, hence do not miss this opportunity to enjoy it to the fullest. Competitions chalked out for various age groups and those planned for the day include Baby's collage, Best video showing the affection between the parent and the kid, clay modeling, Dramebaaz, Fancy Dress, singing, solo dance and such other games for kids. Group fancy dress, pick & Act other exiting and fun games are planned for the others. Main attraction of the day will be Super Family where in whole family will actively participate in various challenges. Some games will have special prizes for highest likes in Face book apart from the judge’s selection. more..
Tulu Koota Kuwait is celebrating Tulu Parba 2017 on Friday 27th October 2017, at American International School, Kamel Al Rayes Auditorium Maidan Hawally, starting 3:30 PM Festivals promote diversity, they bring people together, they increase creativity and offer great opportunity. Festivals are fun for kids, entertainment for adults and offer a break from the stresses of the nuclear family. Festivals play a key role in preserving and promoting the cultural values and pass the rich cultural values to the next generation in colorful way. Tulu Koota Kuwait celebrates the Tulu Parba with these objectives every year and also to showcase the talents of TKK Members. 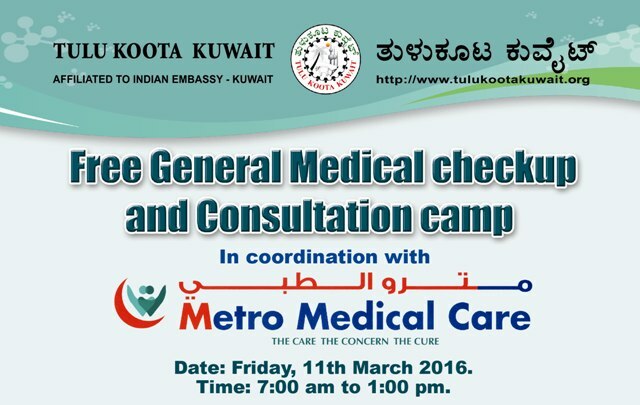 Tulu Koota Kuwait conducted a free medical checkup & consultation camp. 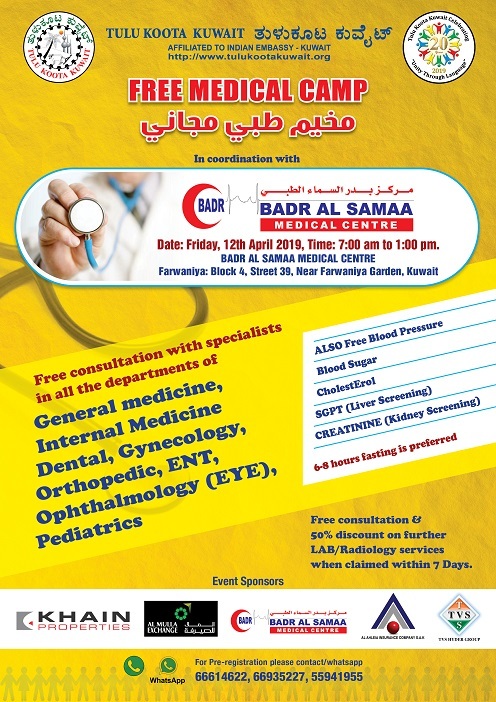 Tulu Koota Kuwait conducted a free special medical checkup and consultation camp in association with Badr Al Samaa Medical Center at their Farwaniya clinic on 12th May 2017. 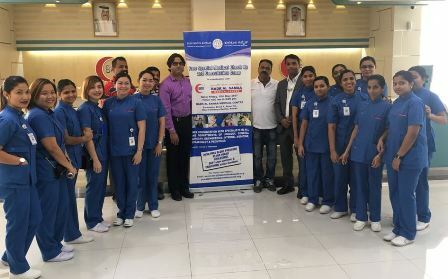 Mr.Wilson D’souza, President, Tulu Koota Kuwait on this occasion explained that this special free medical checkup and consultation camp was organized to help those people who can’t afford for medical checkup and don’t have access to the specialists doctors. Apart from Blood Pressure and Blood sugar the tests like Cholesterol, Liver Screening and Creatinine( Kidney Screening) were also included. More than 200 were registered and got the medical check up done and also needy participants got expert guidance from the Doctors. Tulu Koota Kuwait – Rasamanjari 2017 Mega Musical Feast a package of total entertainment. Tulu Koota Kuwait, under the leadership of the president Mr.Wilson D’Souza organized Rasamanjari 2017, a mega musical feast, an event with full entertainment on 21st April 2017 at the American International School, Kamel Al Rayes Auditorium, Maidan Hawally. The Musical Nite featured performance by prominent guest Singers, background music by leading musicians from India along with the award winning singers from Kuwait. The classical Dances, film Dances and comical skits from various artists entertained more than 1000 art enthusiast. 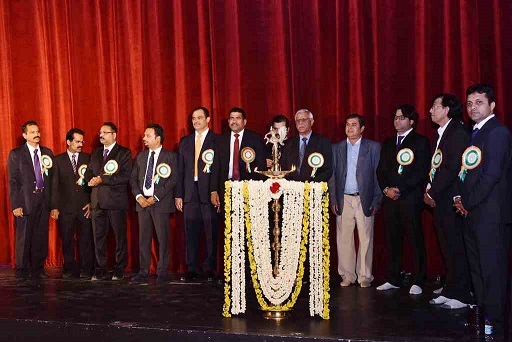 The event commenced with the Kuwait and Indian National Anthem, followed by the lighting of the lamp done by the President Mr.Wilson D’Souza and Mr.Venu Sharma from Bhandary Builders along with the Convener of Tulu Koota Kuwait, Members of Advisory committee and Management committee. While Ms. Lydia Misquith and Mr.Abdul Razak welcomed the gathering with a brief introduction about tulunadu, Tulu Koota Kuwait in a charming way and a welcome classical dance by the members of Nritta Dhyana Dance group kick started the event. Tulu Koota Kuwait – Family Picnic 2017 exciting games and lot of Fun. The Tulu Koota Kuwait Family Picnic which was held on 17th March 2017, at the Mishref garden, Kuwait. It was the dedicated efforts of the committee members and active participation of the TKK members that eventually led to the success of the family picnic. The event started with the Kuwait and Indian National Anthem was sung by the TKK kids with live music which boosted the energy and enthusiasm of the all the participants and the volunteers of the event. TKK Managing Committee Met Indian Ambassador: Newly Elected Members of Managing Committee for 2017 met Indian Ambassador to Kuwait HE. Mr.Sunil Jain on Sunday 19th February 2017. TKK Managing Committee Members met Indian Ambassador at his office in Indian Embassy Kuwait. All the committee members gave a brief self introduction and TKK President Mr. Wilson D’Souza briefed the Ambassador about the objectives and activities of the association. He thanked the Indian Embassy for all their support to the Association and handed over a flower bouquet as token of gratitude. 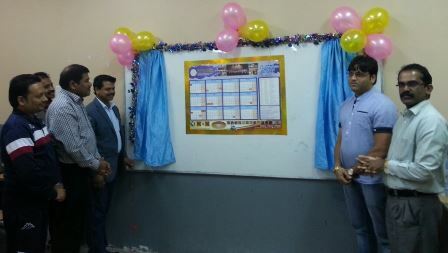 The Tulu Koota Kuwait released the calendar - 2017 at the all committee meeting held on 16th December 2016, at the Indian Public School, Salmiya, Kuwait. The calendar was released by Mr. Valerian Sanctis jointly with the President, Mr. Wilson D’Souza, the advisors Mr. Ramesh Kidiyoor, Mr. Tharendra P. Shettigar and Mr. Harish Bhandary. Annual General Body meeting of Tulu Koota Kuwait was held on Friday, 9th December 2016 at Indian Community School , Salmiya, Kuwait. The Meeting commenced with the Kuwait and Indian National Anthem sung by the Tulu Koota Kuwait kids and the prayer by Mr. Purander Manchi. 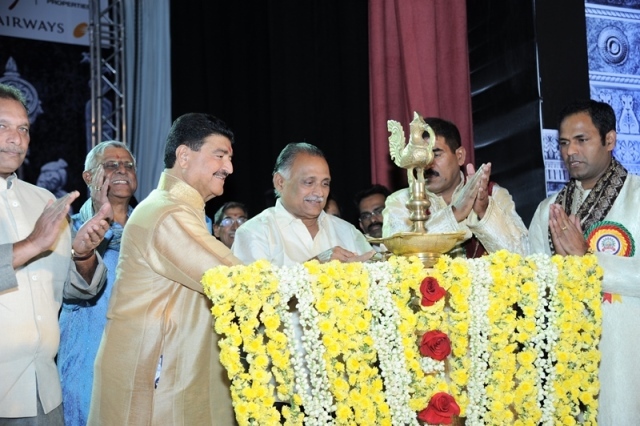 The members of the Managing committee inaugurated the event by lighting of the lamp. Kuwait witnessed grand extravaganza of drama, traditions, dances, folks, dance skits, Yakshagana and much more during the Tulu Parba 2016. Continuing the tradition of the last 16 years, Tulu Koota Kuwait (TKK), led by president Harish Bhandary, organized 'Tulu Parba 2016' on Friday October 28 at American International School, Maidan Hawally, Kuwait. 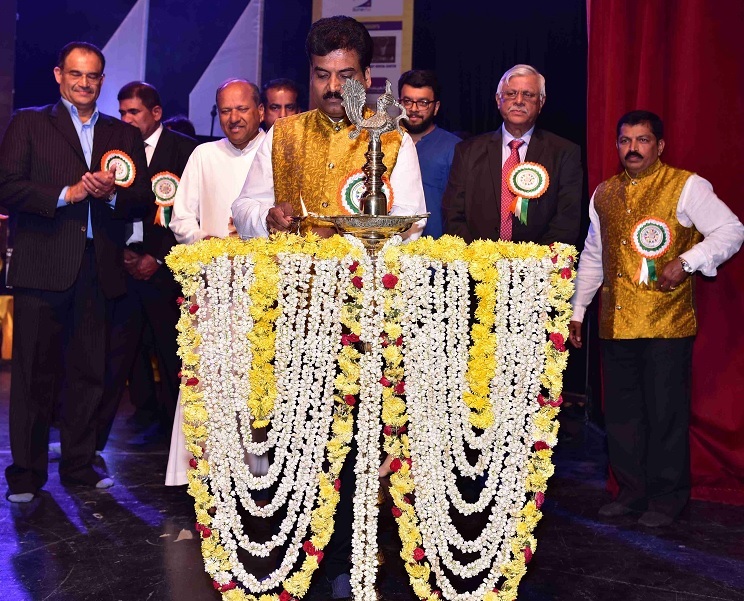 The audiences were welcomed by comperes of the evening Shashiraj Rao Kavoor and Ashwitha Surendra Poojary as they highlighted the activities of Tulu Koota Kuwait. 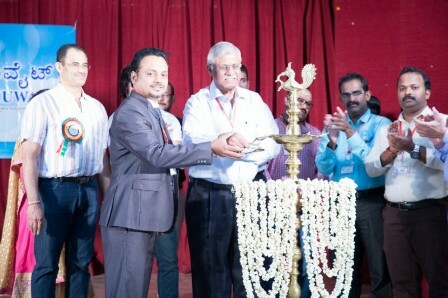 It was followed by traditional lighting of the lamp by guest of honour Lawrence Pinto, Muralidharan Nayar and Suresh Attavar along with President Harish Bhandary, Advisory committee and managing committee members. A souvenir commemorating the event was released in a unique manner. Tulu Koota Kuwait - Tulu Parba Competitions were held at the Indian Community School Salmiya on 7th October 2016 with maximum participation from all age groups, be it individual or group. Children and adults of all ages participated in various competitions as they came in large numbers. The program started with a warm welcome by hosts Priya Devadiga and Manoj Shetty, as they set the mood for the day. A welcome prayer was sung by Madhav Naik, Ronald and Wilma. The program kick started with the lighting of the lamp by the Management Committee and Advisory Committee followed by a welcome speech from Mr. Harish Bhandary, the President of Tulu Koota Kuwait. The Tulu Parba 2016 Competition was very well coordinated by Mrs. Swarna Shetty. Tulu Koota Kuwait Rasamanjari fascinates one and all..! Tulu Koota Kuwait, under the able leadership of the president Harish Bhandary, organized "Rasamanjari 2016" on Friday, April 1st at the American International School, Kamel Al Rayes Auditorium, Maidan Hawally, Kuwait from 4:30 pm onwards. The melodious event featured performances by prominent artistes from Mangalore, singer and composer Sandesh Babanna, the charming singer and dancer Ashwin D'Costa, Asianet fame singing star Preethi Warriar, renowned musician from Kannada music industry Deepak Jayasheelan along with Sumita Nair, Renita Raina and Kuwait's popular multi-talented singer, actor and comedian MC Jaison Lasrado. The stage adorned a glittering look with the live band on stage. The programme was well coordinated by the Cultural Secretary, Sathish Acharya. Pleasant weather, festive environment with large crowd mark the Tulu Koota Kuwait families get together ..! 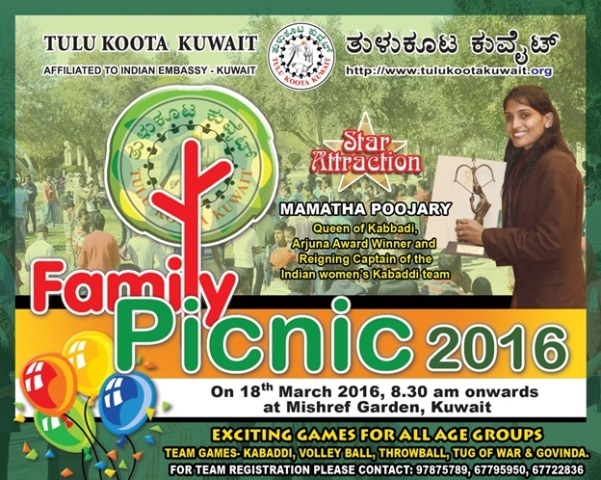 The Tulu Koota Kuwait Family Picnic which was held on 18th March 2016 drew large crowd, at the Mishref garden, Kuwait. It was the unity of the committee members and active participation of the audience that eventually led to the success of the family picnic. The event was inaugurated first by singing the National Anthem live by the TKK kids, with live music by Valence Fernandes. 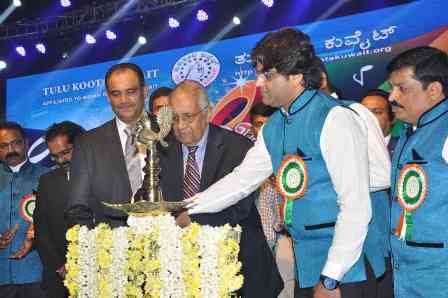 The torch was then lit by the President, Mr. Harish Bhandary and the Chief Guest of the evening, Mr. Lawrence Saldanha. 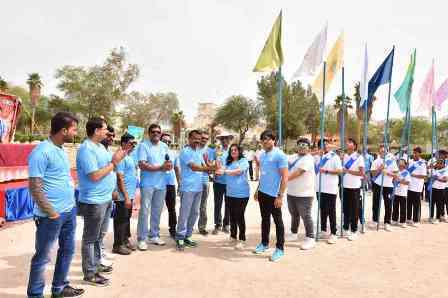 The Vice president, Wilson D’souza hoisted the flag while the Sports secretary, Rajesh Poojary did the traditional breaking of the coconut as they declared the event open. We are here again with packed thrill, get set to unwrap and enjoy every bit of the game that pops out. 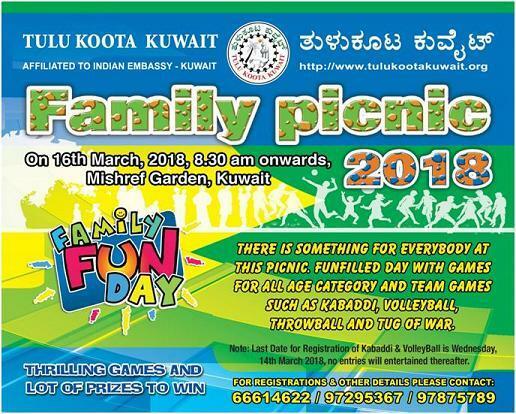 Tulukoota Kuwait takes privilege & feels proud to announce the much awaited "FAMILY PICNIC" being scheduled on Friday 18th March 2016 at MISHREF GARDEN from 9:00AM to 6:00PM. TKK assures you fun filled day with awe-inspiring games for children and adults, accompanied with Tulunadu sport that marks the center of attraction. Plan your day ahead and don’t miss this perfect opportunity to participate and cheer the ardent members as they enroll to show excellence on the ground. Tulu Koota Kuwait 2016 Managing Committee met the Indian Ambassador to Kuwait HE Mr. Sunil Jain, on Wednesday, 10 February 2016. 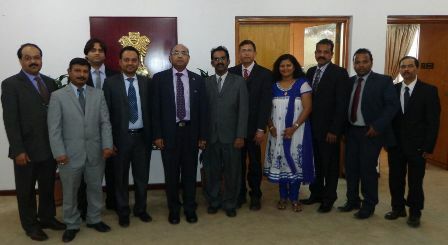 Tulu Koota Kuwait Managing committee members met Indian ambassador at his office in Indian embassy Kuwait. 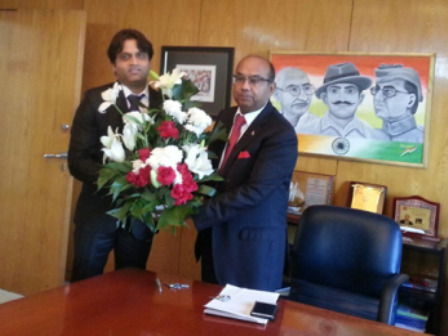 President Mr. Harish Bhandary greeted the ambassador with flower bouquet. Embassy officials Shri Shubashis Goldar, Deputy Chief of Mission and Chief Public Information Officer and Shri K.K. Pahel, First Secretary (HOC/CE) were also present during the meeting. Tulu Koota Kuwait briefed them about its objectives and activities. While the Welfare Officer Mr. Chandrahasa Shetty explained about the upcoming free medical camp and various charity activities being carried out by TKK. The calendar of events 2016 was presented to the Ambassador as the Vice President Mr. Wilson D’souza and Cultural Secretary Mr. Sathish Acharya spoke about cultural activities being planned for the year 2016. Various community issues were discussed during the meeting. Tulu Koota Kuwait is pleased to invite all its members to the 16th Annual General Meeting to be held on 18th December 2015 at Indian Community School (senior girls) Salmiya on Friday 18th December 2015 from 5:00 P.M. onwards.The evening will be filled with cultural activities by our own talented artist. The event will be followed by dinner. 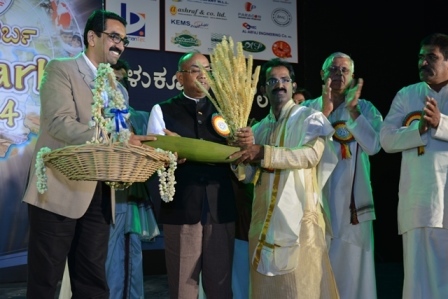 The 15th Anniversary of Tulu Koota Kuwait celebrated with grandeur at the Tulu Parba 2015. Tulu Koota Kuwait celebrated its 15th Anniversary with grandeur at Tulu Parba 2015 held at the American International School on 30th October 2015. The chief guests to the event were HE the Ambassador of India to Kuwait, Mr. Sunil Jain, Mr. Khaled Al-Saif, Managing Director of NAPESCO and Mr. Valerian D’sa the Managing Partner of Khalil Bahman & Partners Co. The guest artists who came from India were Mr. Sujayendra Hande, who hails from a very illustrious family of Yakshgana, Ms. Sumangala Rathnakar a gifted Natya vidushi in both Yakshagana and Bharthnatyam form , Mr.Umesh Mijar a renowned name in Tulu Drama, Mr. Laksmeesh Gangimatta a versatile actor and Mr. Shreenath Anchan the well-known musician. Tulu Koota Kuwait, persistently continuing the charity work, once again takes pleasure to announce the philanthropic gesture under the banner “Glimmer of Hope – Bhagyoda Bolpu”. The twin ceremonies were held on the 20th September 2015 in Belthangady Taluk. 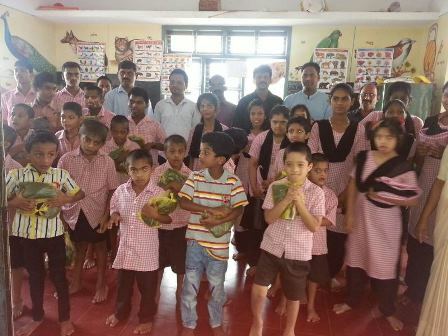 “A Glimmer of Hope – Bhagyoda Bolpu” undertaken by Tulu Koota Kuwait is a project to adopt 30 HIV infected children from 10 Villages of Belthangady Taluk for one year and provide them with educational, nutritional and medical assistance. Their food, medicines, uniforms and school accessories will be taken care of with this aid. This contribution would positively assist in enhancing the lives of the HIV infected children by improving their health, nutritional condition, educational performance and support them in living a normal life. 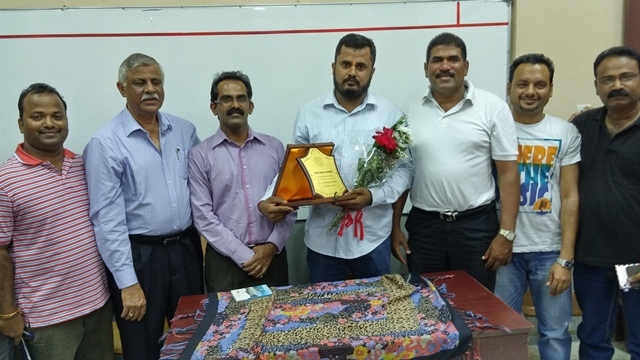 Tulu Koota Kuwait bid farewell to its most prominent committee member Mr. Mahesh Poojary on 14th August at the Indian Public School. He came to Kuwait 5 years ago and now has planned to return to his native in Mangalore. He looks forward to accompany his parents and serve them whole-heartedly. 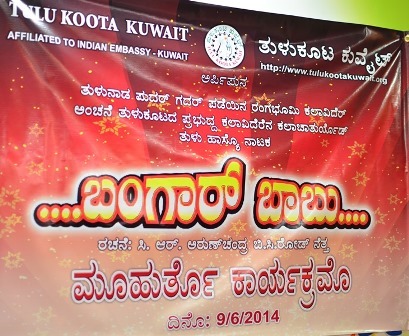 Tulu Koota Kuwait Rasamanjari 2015 was held on 1 May 2015 at the Marinal Hall, Touristic Park, Abbasiya. The artists rocked the stage with their melodious songs and performance. The event commenced with the lighting of lamp by the Managing Committee and Advisory Committee. The President, Mr. Tharendra Shettigar in his speech welcomed the audience and also informed everyone about the New Project “A Glimmer of Hope – Bhagyoda Bolpu” undertaken by Tulu Koota Kuwait. 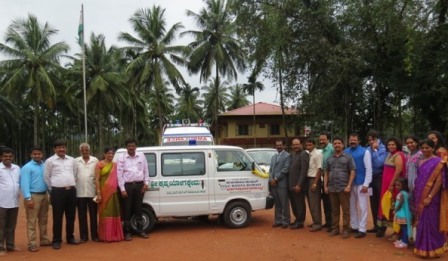 Tulu Koota Kuwait, in its persistent endeavor towards promoting social causes, aspires to offer a ‘Glimmer of Hope’ to the HIV infected children of Belthangady Taluk of Dakshina Kannada District. The President urged each one of them to donate generously towards this noble venture undertaken by the association, as the invaluable contribution would positively assist in enhancing the lives of the HIV infected children by improving their health, nutritional condition, educational performance and support them in living a normal life. 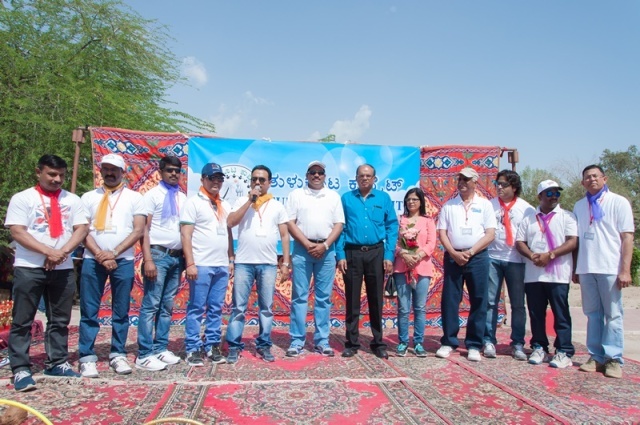 The pleasant climate of the second month of the year drew large crowds at the Tulu Koota Family Picnic, which was held on 27 February 2015 at the Mishref garden, Kuwait. The event was inaugurated with a theme of “Swachh Bharat Abhiyan” flagged off by the honorable Prime Minister of India. All the committee members followed the theme by demonstrating to clean up the ground in unity. The torch of the picnic was first lit up by the members of the advisory committee and handed over to the Sports secretary, Mr. Faustine Pinto, which was then carried forward to all the managing committee members and finally to the President, Mr. Tharendra Shettigar. The President then lit the big torch and declared the event open. Children with pom-poms looked vibrant with the colours of the Kuwait and Indian flag. The national anthem of both the countries was then sung after which the traditional breaking of the coconut was carried on by the President and the Sports Secretary.It was then followed by an effective presentation of yoga postures by Mrs. Alka Rao and her team to emphasize the importance of a healthy mind and healthy body. Mr. Suresh Salian conceptualized the inauguration idea and well executed by Ronald D'Souza , Vishwanath Shetty and Purander Manchi. Mr.Tharendra P. Shettigar, President of Tulu Koota Kuwait briefed him about the journey of TKK since its inception and its objectives, while the Welfare Officer Mr. ChandrahasaShetty explained about the various charity activities being carried out by TKK. The calendar of events 2015 was presented to the Ambassador as the Vice President Mr. Harish Bhandary and Cultural Secretary Mr. Sathish Acharya spoke about cultural activities being planned for the year 2015. 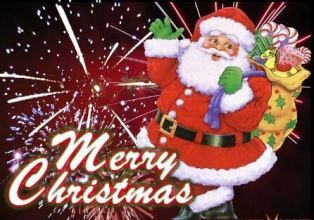 Tulu Koota Kuwait wishes its members and their families and also all the communities of Tulunadu in Kuwait a Merry Christmas and Happy New Year 2015! 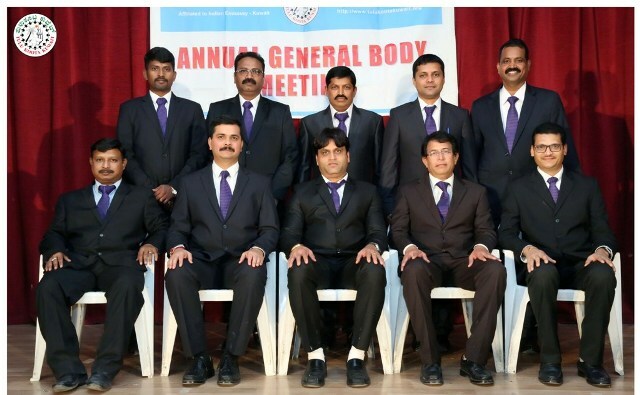 The Annual General Meeting of Tulu Koota Kuwait witnessed the advent of the new Managing Committee held on the 19th December 2014, at the Al Jawher School, Reggae. The event commenced with a prayer song rendered by Ms. Jayalaxmi Karkal, Madhav Naik and Bhavani Naik, followed by the lighting of lamp by the Managing Committee & Advisory Committee 2014. Tulu Koota Kuwait celebrated the Tulu Parba 2014 on Friday, 17th October 2014, at American International School, MaidanHawally, Kuwait from 3:30 pm onwards. The event commenced with lighting of the lamp by the eminent guests for the occasion, H.E.ShriSunil Jain,Ambassador of India to Kuwait,Mr. 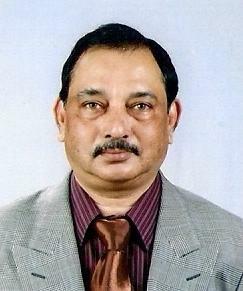 Sudhir Shetty UAE Exchange COO – Global Operations Abu Dhabi, alongwith Managing Committee. It was followed by the Souvenir Release, which was brought out to commemorate the event. 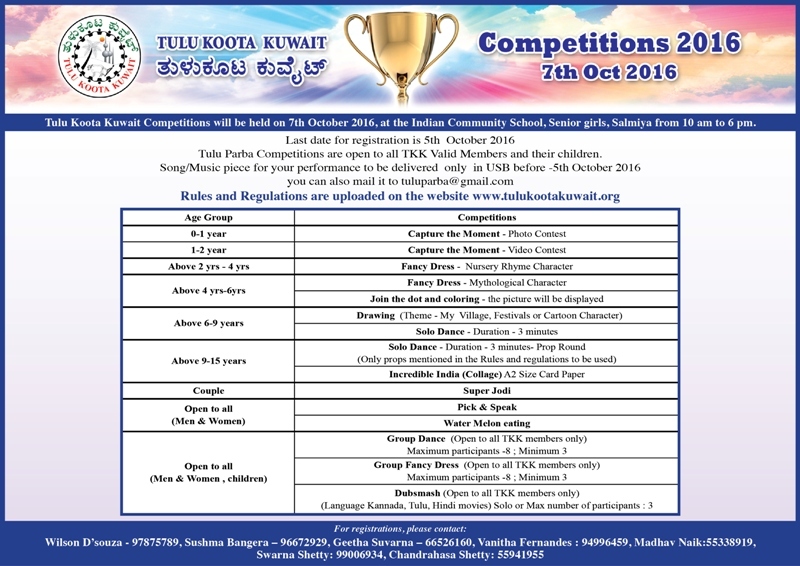 Tulu Koota Kuwait Competitions were held at the Indian Community School Salmiya on 10th October 2014 with great enthusiasm and excitement. People of all ages participated in various competitions held for different age groups. Tulu Koota Kuwait is all set to celebrate the Tulu Parba 2014 on Friday, 17th October 2014, at American International School, Maidan Hawally, Kuwait from 3:30 pm onwards. Audience will witness a show packed with mesmerising talent as the finalist of “India’s Got Talent” from Colours’ TV channel, Vilas Nayak, will be here to create a colourful world in front of you within a blink of the eye. He is Asia’s leading speed painting artist and has won accolades for his work all over the world. Tulu Koota Kuwait has been consistently achieving its objectives of promoting Cultural, Philanthropic and Social activities. As per our annual calendar, we are now gearing up to host our annual event, “Tulu Parba 2014" on 17th October 2014 at the American International School Auditorium,Maidan Hawally. 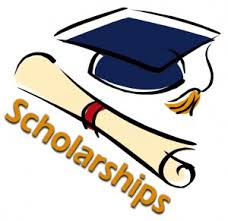 In continuation of our tradition of awarding scholarships to children of our eligible members for the academic excellence in Xth and XIIth std. during the Tulu Parba, Tulu Koota Kuwait is pleased to invite applications from eligible members for their children (mentioned in the membership application form). 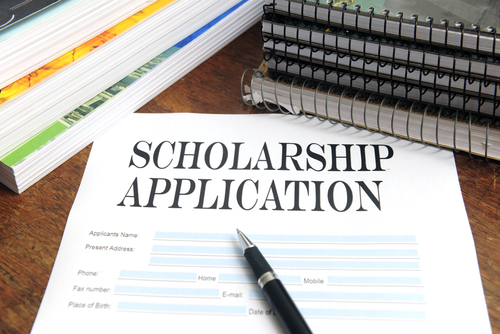 Members should submit written Scholarship application for their children, who are studying either in the State of Kuwait or in India, along with copies of mark sheets of academic year of 2013-14 as soon as possible but not later than Oct 7, 2014. Please contact Ramesh Bhandary, Welfare Officer Tel No : 97880936 or Sathish Acharya, Gen Secretary Tel no :65640611 for any clarification. Tulu Parba Competitions registrations have commenced!!! Tulu Parba Competitions 2014 registrations have commenced and Tulu Koota Kuwait is very excited to invite all the Tuluvas to come and display their talent. The competitions will be held on Friday, 10 October 2014, 10:00 am -5:00 pm at the Indian Community School Auditorium, Salmiya. more..
Tulukoota Kuwait under their “Project Education” programme distributed uniforms to the children of Christaraj Navachethana special school Venur on 26th july at school premises. President of Tulukoota Mr.Threndra.P.Shettigar presided over the function and handed over the uniforms to the students. Mr.Shettigar in his speech praised the hard work of school teachers and wished them all the success. 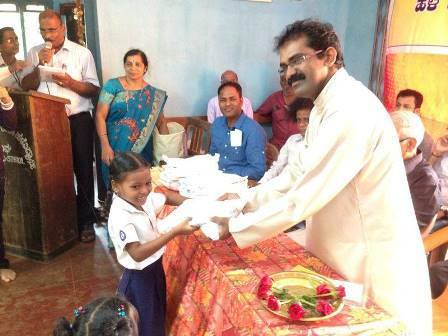 Tulukoota Kuwait under their “Project Eduction” distributed uniforms to the children of Amrutheshwara Higher Primary school Vamanjoor under Janu shetty memorial education and charitable trust on 24th july at school premises. Tulukoota Kuwait under their ‘Project Education’ program distributed uniforms and umbrellas to the children of T A Pai Modern Higher Primary School Kadabettu on 19th July at the school premises. Tulu Koota Kuwait held the Muhurtham of Tulu comedy drama “Bangar Babu” at the Salmiya Play School, Rumaithiya on 9th June 2014. Bangar Babu is a comedy drama running successfully in Tulunadu and has been written by CR Arun Chandra, BC Road. 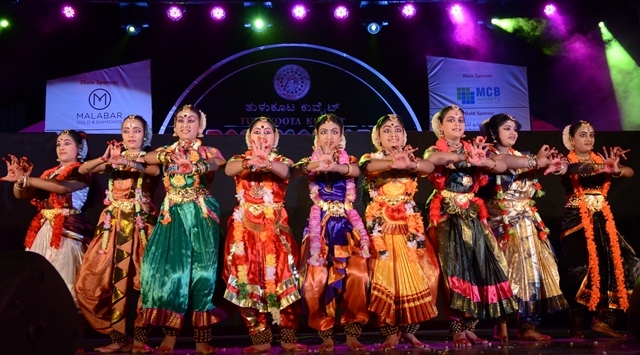 Power packed performances rocked the stage of Rasamanjari 2014 presented by Tulu Koota Kuwait on 16th May 2014 at the American International School, Kuwait. The audience were awestruck by the powerhouse spectacle presented by the guest artists from Mangalore. The event began with a warm welcome beautifully rendered by Bhavani Madhav and Vijay Wilson followed by a Welcome dance by Upasana Dance Studio and the traditional lighting of lamp by the Managing & Advisory committee members. The President, Mr. Tharendra Shettigar addressing the crowd, welcomed everyone and thanked the sponsors of the show, whose generous contribution was the foothold of such a magnanimous event. Tulu Koota Vice President Mr. Harish Bhandary (Senior Research Associate in KISR) hailing from Mangalore is receiving the excellence award continuously for the 5th time. Joined KISR 14years back, he has marked his presence with appreciable contributions in research activities at the Water Resource Division of KISR. 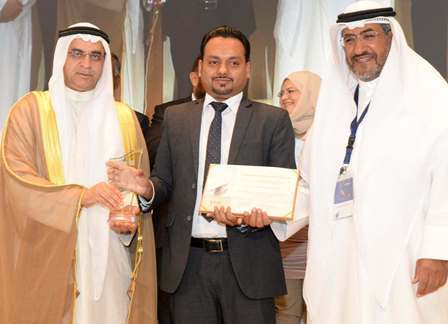 Tulu Koota Kuwait congratulates Mr.Harish Bhandary Kaup for garbing the award of Scientific Achievement for the year 2013/2014 towards his remarkable contribution to scientific knowledge, create spirit and continuous efforts for the advancement of KISR and development of mankind. 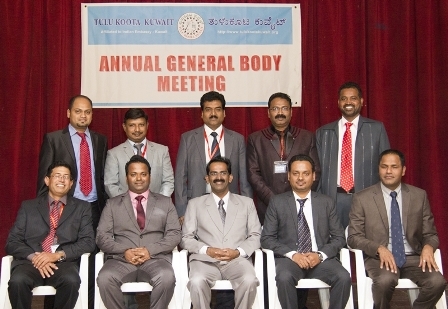 On Tuesday, 29th April, 2014, the Management Committee of Tulu Koota Kuwait met Most Rev. 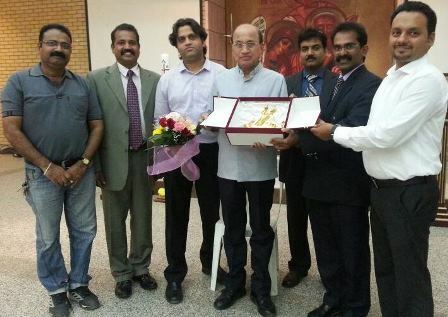 Dr. Gerald Issac Lobo, the Bishop of Udupi during his recent visit to Kuwait and honoured him with a memento. Tulu Koota Kuwait Family Picnic 2014 was held on 14th March 2014 at the Mishref garden, Kuwait with great vigor and pomp and participation of a huge enthusiastic audience. 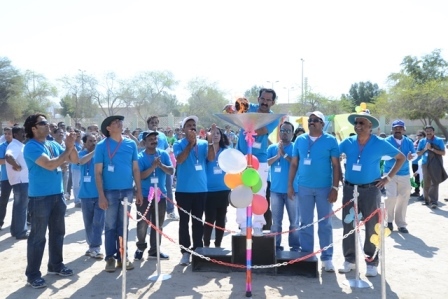 The event was inaugurated with a unique concept of lighting the torch. The Torch was lit by the first President of the Koota, Mr. Sudhakar Shetty and then carried forward to other ex-presidents finally reaching the present President, Mr. Tharendra Shettigar who then lit the big torch declaring the event open. Children with balloons and pom-poms ran along with the torch bearers around the ground making the inauguration vibrant and colorful which was beautifully structured by Mr. Suresh Salian. Tulu Koota Kuwait bid an emotional farewell to Mr. Nasser Puthiyaveetal, an active member of Tulu Koota, who has decided to leave Kuwait after 22 years of stay to continue his life with his family members in his homeland Mangalore, on 7 March 2014 at the Salmiya Play School, Rumaithiya. 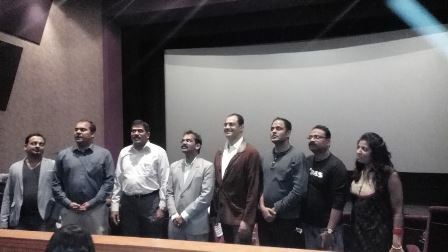 First ever screening of Tulu language film, “Telikeda Bolli”, a Grand Success for Tulu Koota, Kuwait. Adding another feather to its crowning glory, Tulu Koota Kuwait successfullyorganized the screening of the first Tulu film in Kuwait at Ajial Theatre, Fahaheel, on 21st February 2014, which ran houseful with an enthusiastic film audience lining up patiently for tickets. 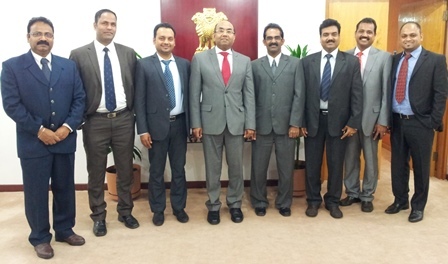 Tulu Koota Kuwait newly elected Managing committee for 2014 had its first meeting with Indian Ambassador His Excellency Sunil Jain on Monday February 3, 2014. The President of TKK Tharendra P. Shettigar briefed about the journey of Tulu Koota Kuwait since its inception and the Welfare Officer Ramesh S Bhandary explained about the various charity activities being carried out by TKK and Vice President Harish Bhandary and Cultural Secretary Suresh Salian spoke about cultural activities being planned for the year 2014. The 2014 calendar of events was also presented to the Ambassador. 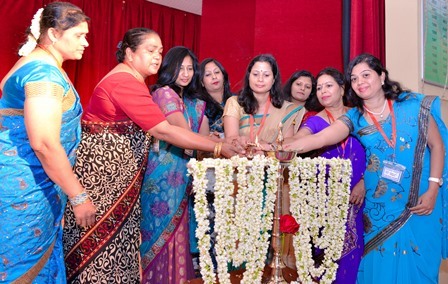 Tulu Koota Kuwait witnessed the emergence of a new enthusiastic team of Managing Committee members at the 14th Annual General Meeting of Tulu Koota Kuwait held at Indian Community School (Sr. Girls), Salmiya, on Friday, 20th December, 2013, who affirmed their willingness to work for the progress and welfare of the Tuluvas, like their predecessors. The grand evening commenced with the invocation song by Mr. Suresh Salian and Mr. Santhosh Kunder followed by the traditional lighting of lamp by the Managing Committee Members 2013 and the advisors. The World Tulu Convention amazed Tuluvas in Kuwait with a massive line of guest-list, an array of cultural programs, Tulu Discussions, dance performances by ‘Excellent’ Group, a Tulu Drama ‘Nank Matherla Bodu’ by LakhumiThanda and a Yakshaganaon GandivaBiruva. The World Tulu Convention that took place on the 17th and 18th October at the American International School Kuwait with full packed crowd, was a grand success with superlative performance given by everyone. Copyright © Tulu Koota Kuwait. All Rights Reserved.